Upon scheduling your next business or pleasure orientated travel, it would be wise to avoid if possible the below-mentioned cities that form this article. The list below in essence, features the world’s most dangerous places on the basis of murder incidents per capita. 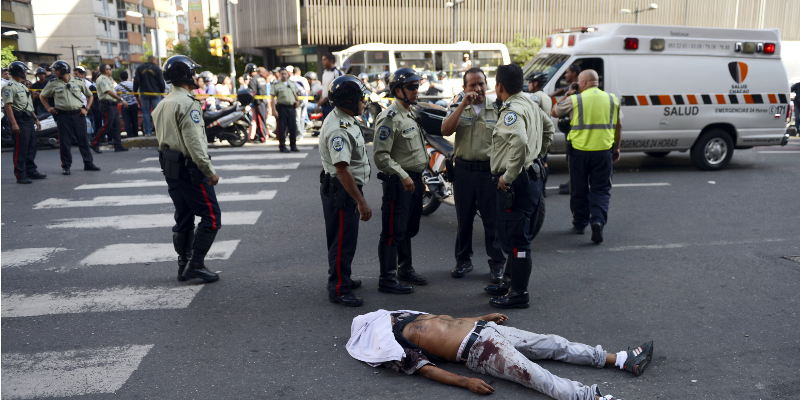 My former home Caracas, Venezuela has now risen to Numero Uno spot with 119.87 murders per 100,000. The lively city of San Pedro Sula in Honduras which occupied the top position in 2015 comes second with 111.03 murders per 100,000 in 2016. San Salvador is worthy of mention, as a rise in mass-styled killings and growing violence between alleged gang members, has practically doubled the city’s murder rate from 61.21 to 108.54 taking the 3rd spot. Interestingly, August was most violent month overall in San Salvador, with more than 900 killings, including an unprecedented 52 deaths registered in one single day. The other two cities that complete the top 5 most dangerous places in the world are the tourist resort of Acapulco in Mexico as well as Maturin in Venezuela, a country on its knees at present and littered with dangerous cities. All the numbers above are high in comparison to the most violent cities in other more established countries. Example: St. Louis in the US has a murder rate of 59.23 per 100,000, hence it’s a notably safer place to be than the world’s most dangerous cities listed. From my understanding the chief reasons for murders and crime, are essentially Illegal drug distribution, extensive poverty, and gangs. Many of these root sources of danger combine to impact on the living conditions of the most affected cities like Caracas and San Pedro Sula, that in turn stimulate these places to become so dangerous.